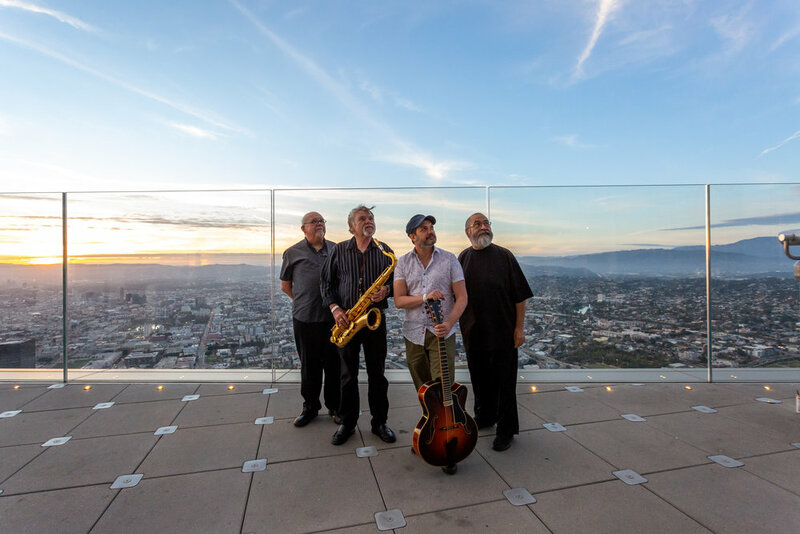 The Pablo Suñé Jazz Quartet is one of Airbnb's new experiences that's been performing at OUE Skyspace since April 2018 with excellent reviews. Concerts are usually sold out one week before the show. The Pablo Suñé Jazz Quartet plays an evocative fusion of American jazz, classical, and modern Argentine tango. Full of style and imagination, Pablo Suñé’s voice combines with elegant guitar, which he plays with characteristic verve and flair. Putter Smith (Bass) has performed with Thelonious Monk, Duke Ellington, Billy Eckstine, Diane Schuur, Burt Bacharach, and Ray Charles among others. Grammy-nominated Mack Goldsbury (Saxophone) has performed with Stevie Wonder, Cher, Tony Bennett, and numerous other notable artists, bands, and orchestras. Kenny Elliott (Drums) has performed and recorded with many legends of jazz and Ray Charles, Mel Torme, Stevie Wonder, Nancy Wilson, Dionne Warwick, Ella Fitzgerald, Natalie Cole, Aretha Franklin, and the Count Basie Orchestra. Here is a nice video from one of our guests. On June 19, we had David Sills on Tenor Sax.